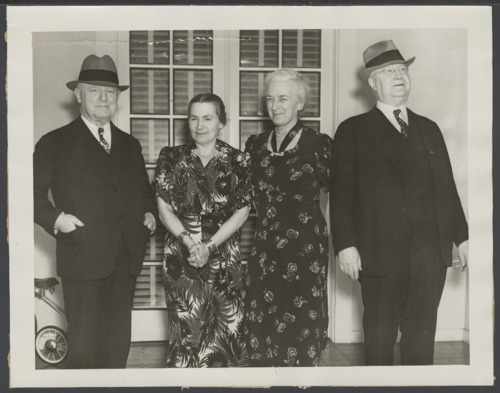 A photograph of (left to right) William Allen White, author and editor of the Emporia Gazette; Sallie White; Pearl Allen Murdock; and Victor Murdock. The latter was appointed to the United States House of Representatives from Kansas to fill the vacancy caused by the resignation of Chester I. Long. Murdock served from May 26, 1903 to March 3, 1915. He was also the editor of the Wichita Eagle.